I will admit that I’m a big fan of Instagram. I joined and posted my first picture just over a year ago and I’ve been hooked. One of the reasons I love it so much is because it allows me not only to share photos from my time on the road, but geo-tagging helps me create a fun map of places I have been. This past spring, I began taking photos of schools I have visited and using these posts to give a shout-out to the great audiences and allow students and teachers to comment and share their thoughts on the program. While I’m having a lot of fun with the app, it seems others are having a less enjoyable experience. Parents are growing very concerned with the safety and well-being of their children. I’ve compiled some things all parents should know about the app and how to best keep their kids safe. Like most social apps, Instagram allows users to protect their privacy by selecting the option “Photos are Private”. By selecting this you are hiding your photos from the outside world and you, from there, can select who is able to follow your posts. Please note that this only hides your photos- information like your name, bio and profile picture are public no matter what. While it’s great to have a map of your travels, it’s important to understand what it means to be creating this map. The option to “Add to Your Photo Map” is turned off by default. Once it’s turned on, however, it remains that way until you turn it back off. It’s important to make sure you are aware of what setting is active when uploading, especially when doing so from home. Forgetting to turn it off will allow others to see where you were at the time of upload. Instagram allows users to share their photos beyond the world of the app and onto social networks like Facebook, Twitter and Tumblr. If a user chooses to share beyond the app, it’s important that they check the privacy settings on that particular network. For instance, on Twitter, the photo and location will be public unless your profile is set to private. Keeping your friends real is the best thing you can do with this app and all social networking. My general rule of thumb is: if they aren’t a contact in my phone, they aren’t my friends. I would even expand that out to: if I’ve never been in the same room as this person, I’m not going to be their friend. In the digital world you can’t be too safe! Like on Facebook, Instagram (which is owned by the Zuckerberg empire) users can be tagged in the photos of others. It’s important to keep an eye on what photos you or your child are being tagged in and how they could affect them. It is possible to untag yourself if the person’s profile is public. Otherwise, you’ll have to ask that you be removed. Instagram also allows for a user to block another. Once a user is blocked, they will not be able to see your profile or pictures, tag photos of you, or mention you in comments. This is a great tool if you don’t want someone having any access to you or if they are repeatedly harassing you. 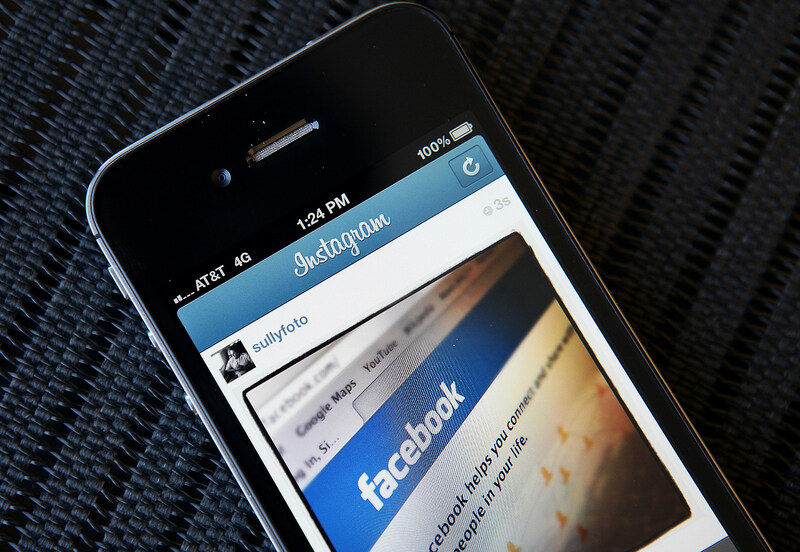 Users can also be reported for violating Instagram’s Community Guidelines. If you or your child find that someone is misusing the app or violating anything mentioned in the guidelines, report them. The claim will be investigated by the folks at Instagram and appropriate action will be taken. As always, I encourage you to learn as much as possible about the app and share in your child’s experiences. Ask them questions or even ask them to teach you how to use the app on your own phone. Follow them and their friends and let them know that you’re keeping an eye on the things they post. What have your experiences with Instagram as a parent been like? I’d love to hear about it!